When Jesus was put to death on the cross it seemed to his friends and disciples that another good and miraculous man had come and died just like all other men. It also probably seemed that the one man who could save humanity had been killed. It seemed like the Devil had won and defeated Jesus Christ and put him under death's cold power. But when Jesus rose a few days later he showed to the whole entire world that absolutely nothing could hold him! 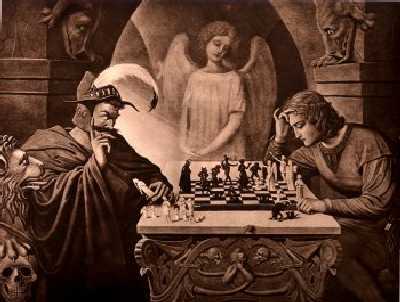 He had that last move, the move which with he conquered death and hell. The greatest crime of man had just been turned into the greatest victory of God! Guess Who I Found In Cambridge, MA?